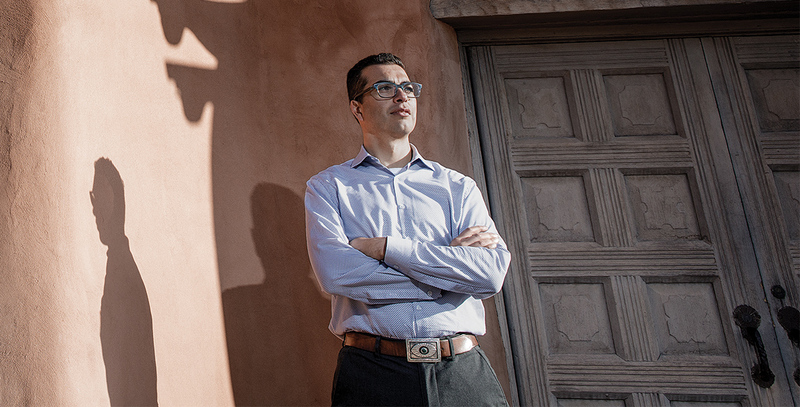 Dominic Garcia is young, hungry, and in charge of New Mexico’s $16 billion state plan. Meet the heir to the Wisconsin model. Dominic Garcia became a deputy chief investment officer at 24, spent his 30s investing $5 billion into hedge funds, and won the CIO job for his home state’s pension plan at just shy of 40. Now the real test begins. Garcia has observed a successful public fund tenure firsthand. His mentor and former boss David Villa — CIO of the State of Wisconsin Investment Board — propelled SWIB into the top tier of global institutional investors. Insiders see the fund as a peer of the elite pension investors of Canada and the Netherlands, such as the Ontario Teachers’ Pension Plan, the Canada Pension Plan Investment Board, APG, and PGGM. Only a handful of U.S. organizations might credibly claim the same. With markets in crisis, the two chose to postpone capital commitments for SWIB’s planned hedge fund portfolio. Thus constrained, Garcia instead had to focus on building the right operational and philosophical infrastructure to support a new investment program. Now, back in New Mexico as CIO of PERA, he’s following much the same process. SWIB publicly congratulated Garcia when news broke of his appointment in August 2017. “This is a great opportunity for Dominic,” a spokesperson said. For an investor accustomed to $1 billion-plus five-year surpluses, it’s also a turnaround. PERA’s $16 billion pension fund has $5 billion less than it needs, and a track record of underperforming its benchmarks. The PERA trustees have tried hiring a conventional, patient, middle-aged investment chief who’d done the public fund CIO job already. Indeed, the fund’s last CIO got poached to lead Los Angeles County’s $50 billion retirement system. This time the PERA trustees and executive director picked a native son, who comes home with a model and a mission: Wisconsin-style investing to benefit New Mexicans. Alpha’s Leanna Orr spoke with Garcia by phone in early February from his new offices in Santa Fe. Alpha: You’re closing in on six months as New Mexico’s CIO. How was your experience of opening the hood on this portfolio — your new portfolio — and discovering all of what’s there? Dominic Garcia: I’ve been here four months, starting in September of last year. Alpha: Britt Harris says it took him a full six to get a firm grip on UTIMCO — University of Texas Investment Management Co. — and he’s Britt Harris. Garcia: I think in terms of the Dewey planning model. When you’re looking to achieve anything, you’ve got to start off with an assessment of the current state. That hopefully can feed into your vision for the future. Then you get into means planning, followed by implementation, and finally back to evaluating and adjusting your implementation. The current-state assessment was not just of the portfolio. I hold up Wisconsin as a model pension system in the U.S. — and frankly, I think over at Wisconsin they would compare themselves against the Canadians and the Dutch and Australians. During my nine years or so there, I was exposed to the best systems in the world and interacting with the Canadians, the Dutch, and what’s going on in Wisconsin. The biggest takeaway from living those best practices day to day? It’s not just about the portfolio; it’s the whole institution. And for the whole institution, my goal here at New Mexico is to embed a culture of success and to make success sustainable throughout the entire system. Based on what I learned in Wisconsin, I break down that institutional model into parts. First, governance: The SWIB governance is great and is worth modeling. Second, they’ve built a robust business model and are able to attract and retain talent. The CIO is able to manage in this robust environment and is then able to integrate in best practices across the entire portfolio and at the end of the day produce results. When I came here, that’s my base or benchmark, and I compared where we’re at on all those levels. We can do better. But the great benefit that I’ve seen here is the commitment and talent of the staff. Everyone understands the importance of this pension system to a small state. And that’s a guiding principle I’ve seen for the staff, and one I want to invest in. That’s part of our edge.